Slavery. It was a bad thing that happened somewhere else, in the United States or elsewhere. Or so we are told. We don’t often think of Australia as being similarly constructed on the exploitation of unfree labour, and yet the history of the development of local capitalism is exactly that. In their history of Australia, No Paradise for Workers, Ken Buckley and Ted Wheelright rightly call convict labour a ‘second cousin’ of slavery. The early years of the colonies were dominated by our version of slavery, as well as indentured labour. Australia was not just a gaol, but a land where modern development had at its core coerced work. While wage labour emerged soon after invasion, it was not predominant over convict labour until the mid 1800s. Convicts, along with indentured labourers from India, China and, most particularly, the South Pacific, remained important to capitalist development until the latter part of the nineteenth century. The unfree labour of people from the South Pacific was particularly important in rural Queensland, where other forms of labour were scarce. Convict labour was initially used to construct colonial state capital works, chiefly under Governor Macquarie, however by the 1820s the cost to the colonial state of convict subsistence was being criticised and deployment on public works decreased. The state was encouraged to allocate convicts to private individuals within the ‘assignment system’, especially those with large sheep stocks in the developing pastoral industry. This process saw, over time, the transfer of responsibility for the subsistence of the convicts to private hands and their exploitation by them. In the wake of 1788, Indigenous people were forced off their land and into areas away from an occupying population that was enclosing areas for pastoral and other activities. Or they were killed. The alienation of land and the foundation of a new society based on private property simultaneously separated Indigenous people from their cultural connection to country and their basic means of subsisting. Robert Miles notes in Capitalism and Unfree Labour that during the early decades of the colonies there was a limited incorporation of the Indigenous population into the labour pool both as convicts and via deception, force and coercion. For example, the Aborigines Protection Act 1886 established a framework for how the Indigenous labour could be ‘retained’. The Act placed an onus on the employer to provide a contract setting out entitlements of subsistence – food, clothing and medical attention – but it was silent on the question of wages. This was in effect legislated slavery: unfree labour was provided in return for subsistence and bound Indigenous people indefinitely to white masters. Miles also details how Indigenous people housed at the ‘native’ penal settlement on Rottnest Island were taken to the mainland in 1846 to address labour shortages, forced to build public infrastructure (such as roads) and allocated to private capitalists to assist with harvests and other work. While convict labour ended in the middle of the 1800s, the unfree labour performed by Indigenous people continued into the late twentieth century. These are not ancient stories, but recent context. I heard an interview with Kev Carmody replayed on ABC local radio last week, where he discussed writing the song ‘From Little Things Big Things Grow’ with Paul Kelly. The interviewer played a version by The Waifs. Afterwards Carmody declared he might never sing the song again such was the beauty and power of The Waifs’ rendition. The host noted the singer had great difficulty recording the song, such was the emotion for her each time she sang it. I feel it as well. I’ve heard it dozens of times and it never wanes. I feel tremendous joy and incredible shame. 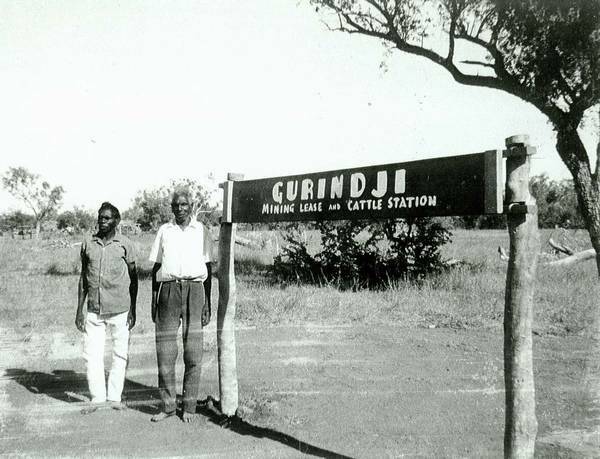 The bravery of the Gurindji seems so great, and how little has changed since 1966/1975 weighs so heavy. The Wave Hill walkoff seems even more distant in the context of the Northern Territory Intervention, or the forced removal of the Aboriginal Tent Embassy in Brisbane last week, or the repeated failure of state and federal governments to deal with the issue of stolen Indigenous wages. 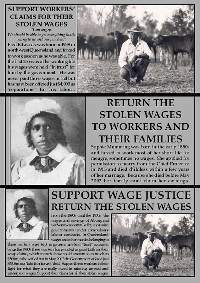 The ‘stolen wages’ campaign seeks reimbursement of the unpaid wages of Indigenous people, held by various state and commonwealth bodies. Indigenous people worked for minimal wages (‘pocket money’) or the cost of their subsistence from the late 1880s or early 1900s (until the 1970s or 1980s depending on the state legislation). Indigenous people did not get paid wages or entitlements directly, as ‘Protection Acts’ meant the money was sent to government agencies that managed (or mismanaged) these funds on ‘behalf’ of Indigenous people. The missing wages, plus missing state and commonwealth entitlements such as maternity benefits and pensions, are the subject of claims by Indigenous people who rightly demand these are paid. Earlier this year the Western Australian government made a settlement offer, an ex gratia payment of $2,000 per person. Aside from the paucity of that figure, an ex gratia payment is one where the payment is made without accepting any liability for what has occurred. In the midst of a mining boom, such an offer seems particularly sour given that state’s economic success comes on the back of the theft of Indigenous people’s land for the purposes of mineral extraction. As I drive towards Queanbeyan on my periodic visits to Canberra, yesterday’s crimes wash upon me, wave after wave in the new assault by memory of the old injustice and made more urgent by the new injustices heaped day by day on the contemporary Black community. 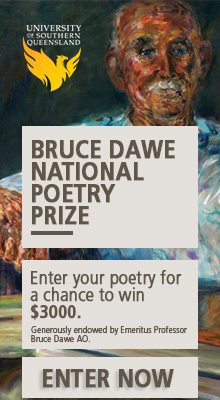 It is not just the first lie, that of terra nullius, on which modern Australia has been built. Rather, we would do well to remember the unbroken line of dispossession right up to the Intervention, to remind us again why we must fight for change. A question: when you say that unfree labour remained ‘important to capitalist development until the latter part of the nineteenth century’, how important was important? Elsewhere, slavery was entirely central. Did it have the same economic weight here? If not, why not? It was centrally important across Australia until the mid 1800s, in the form of convict labour, which as you know ended at different points in different states. Convicts were 43% of the population in 1828 (and obviously a greater proportion of the working population). By 1841 they were 23%, but by 1851 only 1.5% (at which point free labour dominated). Yet in certain locations and industries unfree labour remained central. Transportation of convicts to Swan River (Western Australia) did not begin until 1850 and lasted until 1868. Transportation was introduced there, after the first ‘free’ colony began to collapse without sufficient ability to accumulate capital for lack of doubly free exploitable labour. Convicts were introduced in order for capitalism to proceed in that location and Marx discusses this in the final chapter of Capital Vol 1. Indentured labour in Queensland commenced before formal colonisation in 1859, as squatters had pushed north from about 1842. Such squatters used convict labour under the ‘ticket of leave’ system, but Miles argues that by 1860 there was a central use of unfree labour in the form of coerced indigenous labour and indentured Indian and Chinese labour. Slightly later labour from Melanesia and Micronesia was more central. Between 1863 and 1906 Miles notes ‘about 64,000 islanders, mainly men, were recruited for Queensland’. They undertook domestic work, shepherding, work on cotton farms and in the sugar industry. There were attempts to regulate the recruitment of islanders in the later part of the 1800s and 1904 recruitment had ended. In her analysis of slavery in Jamaica, Abbie Bakan identifies three elements as necessary to ensure the continued profitability of unfree labour, and — applied in relation to the Australian colonies — they are: 1) a steady supply of new convicts, 2) the supply of new land to producers, and 3) high demand for products produced by convict labour. I think that these three things did not occur in Australia as: a) for various reasons convict transportation was phased out; 2) all land had effectively been enclosed in NSW and Vic in the 1800s; and 3) the labour shortages that in part drove transportation to WA or the recruitment of indentured to the colonies did not exist to the same extent. For example, the Gold Rushes from 1851 saw an expansion of free labour in the main colonies — which although located at the gold fields initially later returned to the city once the easily accessible alluvial gold was exhausted. Bit of a potted response, but does that give you more context? Yes. Those three points would be related, wouldn’t they? I mean, if labor shortages persisted, there’d presumably have been greater enthusiasm for the continuation of convictism. What about across industries? My understanding of ‘unfree labour’ particularly regarding Indigenous people is that it was crucial to the development of the cattle industry in NT and QLD. 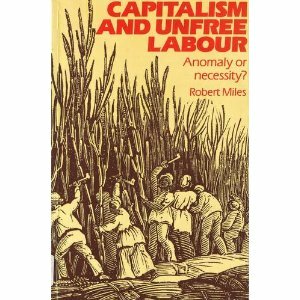 Also, re: ‘unfree labour’ – is there a technical reason for using that term as opposed to ‘slavery’? I guess it just feels kind of like a weasel word and I was wondering what the distinction was. I can’t conceive of the people ‘allocated’ to stations as anything but slaves, for example, with all the connotations that has, but perhaps there’s a specific difference? Also, thanks so much for posting about this. It’s another one of those issues that just seems to so often get lost in discussions about Australian history and identity. There is a definitional difference between slavery, convict labour and indentured labour. Key to the definition of slavery, to my understanding, is that slaves are property and can be bought and sold as people. When people are allocated or contracted, this is not usually possible and certainly was not possible within the allocation of convicts system. This why I think the ‘second cousin’ phrase is useful as it emphasises the linkages between these different modes of exploitation, in that they are unfree (as opposed to Marx’s definition of doubly free labour central to the capitalist social relation) yet are used by capitalism in order to produce capital. Marx notes the double freedom of labour was the necessary condition for labour-power to become commodified: A person is required to be free to sell their labour-power (in that they are no longer bonded to another as under feudalism or slavery), but they must also be free from the ability to subsist (lacking control of the means of production). If it was a weasel word, then it would be attempting to obscure not illuminate the actuality of Australian history. Something I was not seeking to do. For sure. For the record, I couldn’t imagine you trying to obscure such elements of Aust history, which is why I suspected a technical distinction. The key difference between convict labor/indentured servitude and other forms of legally coerced WAGE LABOR and slavery proper is whether or not the non-producers purchase labor-power (ability to work for a fixed period of time) or the laborer as (in WEB DuBois’ words) “means of production in human form.” With unfree wage labor, the non-producers (capitalists) can EXPEL labor from production easily in order to introduce labor-saving tools and methods. With slaves, it is extremely difficult for non-producers (slave OWNERS) to expel labor and increase the productivity of labor through mechanization, etc. I did not mean the distinction was cryptic generally, but that by not explaining the term ‘unfree’ labour or defining slavery I’d been a bit cryptic. Also, you have done a better job than I could in explaining this aspect of slavery (in relation to the question of productivity). For example, in support of what charlie is saying, convicts were replaced within the production process with fencing (one of the first widespread capital investments into Australian pastoralism) and with an improvement to productivity as the convicts did not have to be bought up front. Charlie, given your position that the South was not capitalist do you think the situation is different when the unfree labour is in these other ‘second cousin’ forms. (I do think Australia was capitalist from the start by the way, just curious). It has a pretty good history from across Australia – best info being from NSW and QLD where at the time the most research had been done into the archives. If I remember rightly, one of the times Aboriginal people became most essential – in the sense that you are talking – was during the the gold rush when white men were chasing gold fever, etc. It doesn’t talk to Aboriginal people about their experiences of this, but that’s not its intention. It doesn’t make the link to capitalism that Elizabeth does, but it is still a thorough piece of research. I like that it asserts slavery as the modus operendi of Australian labour rather than specifically definitions of “stolen wages” that are strictly about wages that went into trust accounts never to be seen again. What can be lost in such definitions is that in many places employers had no intention of paying their workers anything – besides rations. We were all slave labour. No one told us about wages or that we were supposed to get paid. The welfare put us out there and all we had to do was be little black slaves. I worked long hours from dawn til dusk. We worked seven days a week. There was a lot of work to do for a child. We didn’t have that much experience really. Like milking the cows and chopping wood, we had no experience in that. We had no choices. We couldn’t complain. We were there to obey. Matron would tell us that: “you’re out there to do work and that’s it and do a good job. No complaining. “We always had to be out working, slave labour. All we know was that we were out o obey and follow their rules. We were too frightened to say anything. If we didn’t do jobs properly we had to keep doing them again until they were right. We were segregated. The only people I could speak to were the cows in the paddck. We were taken advantage of. Little black kids going to work was cheap labour for them and that’s all we were. just to clarify – that first quote of ros kidd was just for Queensland. As far as I can tell there hasn’t been any other similar calculations for other states done. Post overlooks the crucial fact that, unlike free labourers, who can withdraw from a working arrangement and then sell their labour-power to the highest bidder, workers who are unfree (slaves, convicts, bonded labour, etc.) cannot do this. Indebted workers in India who owe debts to their capitalist employers are unable to look for alternative, better-paid jobs (or just jobs) as long as their debts remain unpaid. Some unfree labourers get paid, some don’t (historically, some chattel slaves received payment, others haven’t). The argument about slavery and mechanization is also slightly different: slaves, of course, can be sold elsewhere, or leased out to other employers, so they can be expelled from a particular labour process. The problem with slavery is that, when they aren’t paid, or receive low payment, the market for goods produced with machinery remains constrained. Hence the lack of investment in better technology. This doesn’t apply to current forms of unfree labour, the output of which can be sold into other markets. Accordingly, machine enhanced labour productivity does not depend on whether or not a worker is free or unfree. If you are interested, all this is set out in a number of my books: Towards a Comparative Political Economy of Unfree Labour – Case Studies and Debates (1999), and Labour regime Change in the Twenty-First Century – Capitalism, Unfreedom and Primitive Accumulation (2011).